You need to add it to corresponding fields for handlers' URLs as shown on a screenshot below. Setting up test PPV handler. 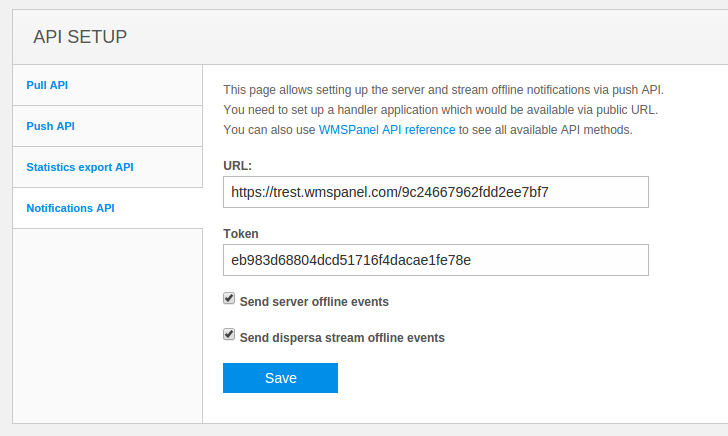 Same URL may be used for Notifications API tab which controls alerts about servers and streams' statuses. Setting up test notifications alerts handler. Now, when you applied handler, you use the same URL for tracking the data being sent. Open the URL in your favorite browser to see incoming data for the last 10 minutes. Each request has its time, source server and raw data. The described debugging capability allows implementing complex streaming infrastructures with less efforts so feel free to try it and let us know of any questions or issues. 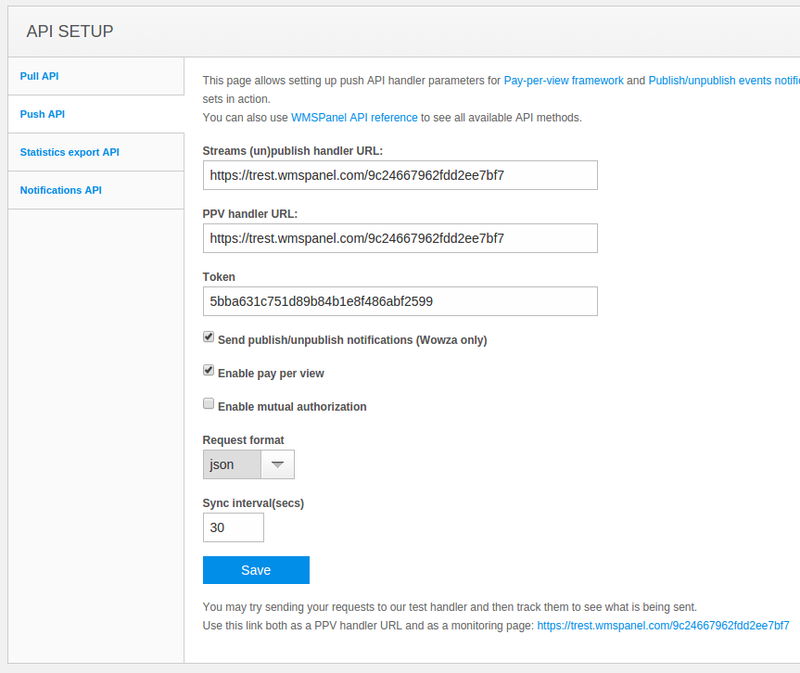 How can the token on the Push and Notification API sections be used in the associated handlers to ensure that the request to the handler is from a valid server? You can see it has server info in a sync. Could we have some documentation on what "Report client IPs" and "Report User-Agents" does/means ?